Around The World in 80 Words is another fabulous read from Paul Anthony Jones, the man behind the endlessly entertaining and education Haggard Hawks Twitter and Facebook accounts. In this book, he looks at words or phrases we use in the English language by taking us on a journey around the world beginning in London with a Kent Street Ejection, moving onto France (vaudeville), travelling through Europe, Africa, Asia, Australia, New Zealand, South, Central and North America before ending up back in the UK again where we find ourselves sent to Coventry! You might have noticed I’m a bit of a word nerd having already reviewed Gyles Brandreth’s book earlier this week. I found Around The World in 80 Words absolutely fascinating and I learned a lot about the origins of words which I hadn’t known before. Some words and phrases included in the book are of fairly obvious origin such as balaclava named after a town in Ukraine, Great Dane dogs who are etymologically if not genetically from Denmark, Siamese Twins named after the famous conjoined twins Chang and Eng Bunker from Siam (now in present day Thailand) and limerick which is not actually linked with Limerick in Ireland at all but likely to have come from Learic after Edward Lear whose Book of Nonsense poems contained 75 poems in that form. 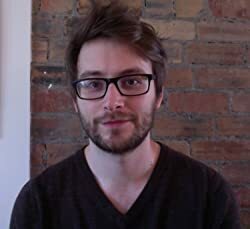 Even if you think the origins are obvious, the author includes lots of interesting information about the evolution of the words over the years and how they came to be regularly used in English. I learned some completely new phrases such as appointment in Samara (a reminder of the inevitability of death), Newcastle programme (a promise which is difficult to keep), a person from Porlock (someone who interrupts at in inopportune moment). I was really interested to find out the origins of tuxedo, antimaccassar, serendipity and doollally. They are respectively connected with New York, Indonesia, Sri Lanka and India. One word which did surprise me was mocha. I assumed that like many types of coffees it would have Italian origins but it actually comes from the Yemen! With thanks to the publishers, I can share this part of the book with you. From Stellenbosch we head northeast, up Africa’s Indian Ocean coast and on to the Red Sea, sandwiched between the African mainland and the Arabian Peninsula. The far southwest corner of the Arabian peninsula is occupied by the Arab Republic of Yemen. And the far southwest corner of Yemen in turn sits on a narrow thirty-mile sea strait, linking the Red Sea to the Gulf of Aden, called Bab-el-Mandeb, or the ‘Gate of Tears’ – an ominous reference to the number of ships that have been lost there. Here, on the Yemeni side of the Gate of Tears, is the port city of Mocha. No prizes for guessing that it’s from Mocha that mocha coffee takes its name: Coffea arabica, the plant from which the arabica coffee bean is obtained, is native to this corner of Arabia, and has been cultivated in Yemen since medieval times. These coffee beans were then dried and transported to the coast for trade. Thanks to Mocha’s ideal location on the far south-western tip of the Arabian peninsula, during the seventeenth and eighteenth centuries it established itself as the arguably the most important coffee-trading port in the world. Before then, the coffee trade into and out of Mocha had been tightly controlled by the occupying Ottoman Empire. But when the Ottomans withdrew from the far south of Arabia in the early 1600s, trade with the rest of the world flourished – and with it, coffee suddenly became a desirable commodity worldwide. * Nowadays, the name mocha is less associated with the Yemeni strain of coffee beans, and more with a drink made by mixing freshly ground mocha coffee with steamed milk and powdered chocolate. This mocha made its debut on coffee-shop menus in 1977. I hope like me you agree that this sounds like a fascinating read and I will just whisper *ideal Christmas gift* for any lovers of language. My thanks to Alison Menzies for my copy of this book. 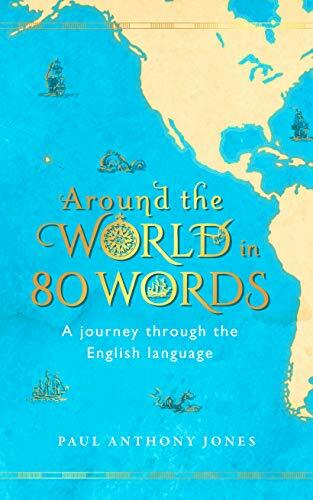 Around the World is 80 Words is published in hardback and as an ebook today by Elliott & Thompson. It should be available from all good book retailers or you will find more buying information on the publishers’ website here. This is just my kind of book. That’s my Christmas wish list started!